The Carriage Museum is currently restoring the Tecolote 15 passenger mountain wagon and it will be ready for the 2018 Old Spanish Days Fiesta Parade.. Also known as a Yellowstone Coach, it has open sides for sightseeing. The coach was used in national parks to carry visitors and hotel guests on leisurely tours through the mountains. The open sides provided easy access and viewing, while the flat canopy top provided shade and some shelter from rain. These “observation” coaches and others like it were originally custom built by the Abbot-Downing Company. The coach is getting a total make over from paint to new leather interior by Hansen Wheel & Wagon in South Dakota. The open sides provided easy access and viewing, while the flat canopy top provided shade and some shelter from rain. These “observation” coaches and others like it were originally custom built by the Abbot-Downing Company. The coach is getting a total make over from paint to new leather interior by Hansen Wheel & Wagon in South Dakota. 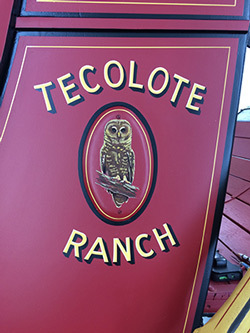 The Tecolote wagon was once owned by Silsby Spalding of the Tecolote Ranch in Goleta in 1928. In 1959 it went to Samuel B Mosher and spent time at his Dos Pueblos Ranch. 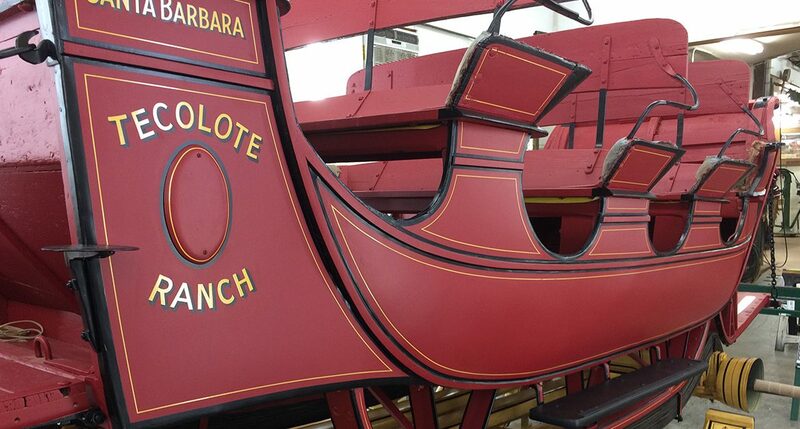 The coach came to the Carriage Museum in 1978 and was used in the Fiesta Parade as well as other local events. It is nearing completion and we want to thank the many generous donors who helped make this possible. Funds are about 70 percent complete. If you would like to make a donation to help us with this project please contact Peter Georgi or Tom Peterson at 805.569.0731. Look for this magnificent coach in the 2018 Fiesta Parade. You could be riding in the shotgun seat. Look for this magnificent coach in the 2018 Fiesta Parade. You could be riding in the shotgun seat.